What better way to enjoy a mid-week family meal than with juicy Pork Chops or Pork Steaks? These cuts are a popular lean meat for tea time during the week. It’s easy to rustle up a healthy meal using pork. Pan Fry for a quick and simple, yet incredibly tasty dinner. Create the perfect healthy meal by serving with some mash potato and roast veg. Don’t forget to add a decent splash of gravy! Alternatively, you can grill your pork for an extra lean version of this dish. Another way to vary your chops is to sprinkle some herbs over them to give them some extra flavour. There are various ways you can cook pork steaks & chops. 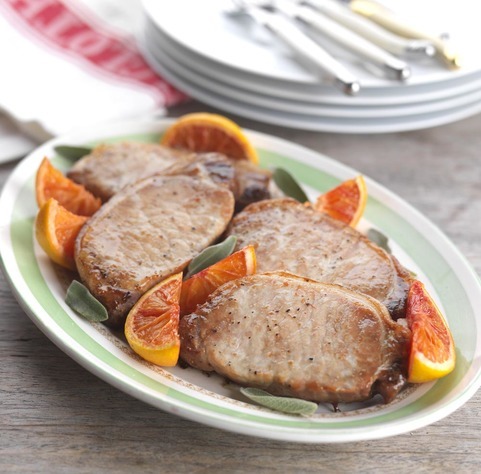 For something a little outside the norm, marinade our pork chops or pork steaks in a honey sauce before roasting. This produced a beautifully succulent dish that will have mouths watering. The Scotch Pork on the Campbells Prime Meat website is sourced from Robertson’s Farm in Ayrshire. This guarantees the Scotch provenance of our online pork. Whether you are looking for Scotch Pork Loin Steaks, Scotch Pork Chops or Bacon Steaks, you are sure to find it at Campbells. We have a wide variety of pork products available for you to choose from. All of our pork steaks and chops are Specially Selected meaning they meet the Quality Meat Scotland's assurance standard. Delicious Scotch Pork chops and steaks from Ayrshire farms. Each pork order we receive is prepared by hand by our specialist butchers on the day of dispatch. So, you can rest assured that you’re getting the freshest pork steaks and pork chops available. Remember you can get free next day delivery on orders over £50. So, what are you waiting for? 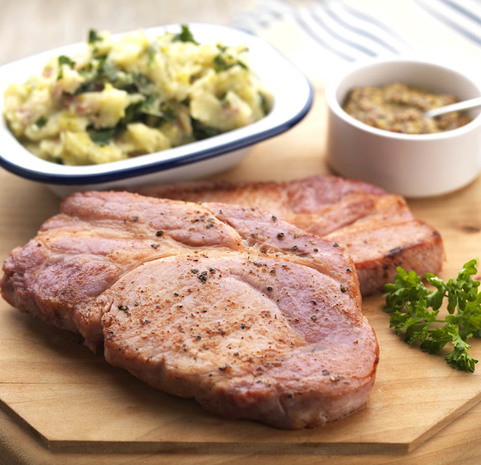 Buy your fresh Pork steaks online from Scotland's finest online butcher today.